An exhibition and associated workshops and concerts on throat-singing and Jews’ harps with Leo Tadagawa (Japan), Mark van Tongeren (Netherlands) & Benicio Sokkong (Philippines). Secret Sounds refers to music from harmonics, the ‘sounds within sounds’ heard in Jew’s harps and in (so-called) throat or overtone-singing. In both instances the performer’s mouth cavity is used to amplify particular harmonics of a fundamental tone–from the instrument or from the singer’s throat–creating another, more subtle level of sound. The mysterious quality of this music is associated in some cultures with functions such as courtship, secret communication, healing, or the singing of epics.This exhibition included a purpose-made interactive CD-Rom, which revealed the facts behind these ‘secret sounds’. Also on display is an extensive collection of Jew’s harps from around the world, showing the variety of size and design. A series of workshops, demonstrations and concerts provided opportunities for visitors to experience these sounds live and to learn the techniques. Leo Tadagawa is an international authority on Jew’s harps. He is also an accomplished performer on a wide range of instruments, an instrument maker, and a throat singer. 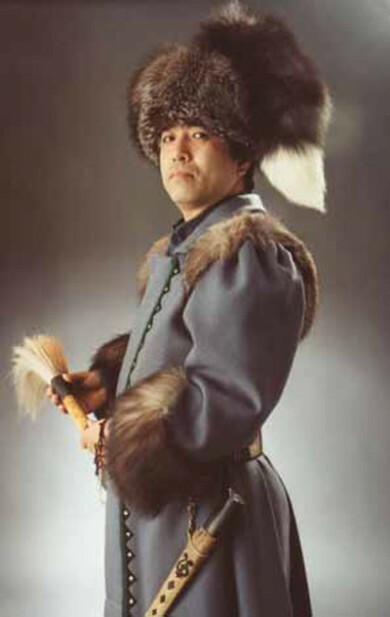 He has published several important CDs on music of the Ainu (original inhabitants of Japan), and the Sakha (Siberia). Mark van Tongeren is a specialist in experimental uses of the voice, particularly the art of overtone-singing. He has completed a book about the phenomenon, covering its physical and metaphysical aspects and its practice in both East and West. He studied throat singing (popularised by the film ‘Ghenghis Blues’) in Tuva, Southern Siberia. Benicio Sokkong, 2001 Artist-in-Residence at the Victoria University School of Music, will be a contributor to the ‘Secret Sounds’ workshops and concerts. Benny is a Kalingga musician from the north of the Philippines, a vocalist and player of many instruments including gongs and bamboo instruments (which he builds himself). This project was sponsored by the Asia 2000 Foundation of NZ, Concert FM, Ford Foundation (Philippines), Japanese Government Peace Friendship and Exchange Programme, KLM Royal Dutch Airlines, National Commission for Culture & the Arts (Philippines), NZ-Japan Exchange Programme, Nissho Iwai Foundation, Royal Dutch Embassy (Wellington), Victoria University of Wellington.